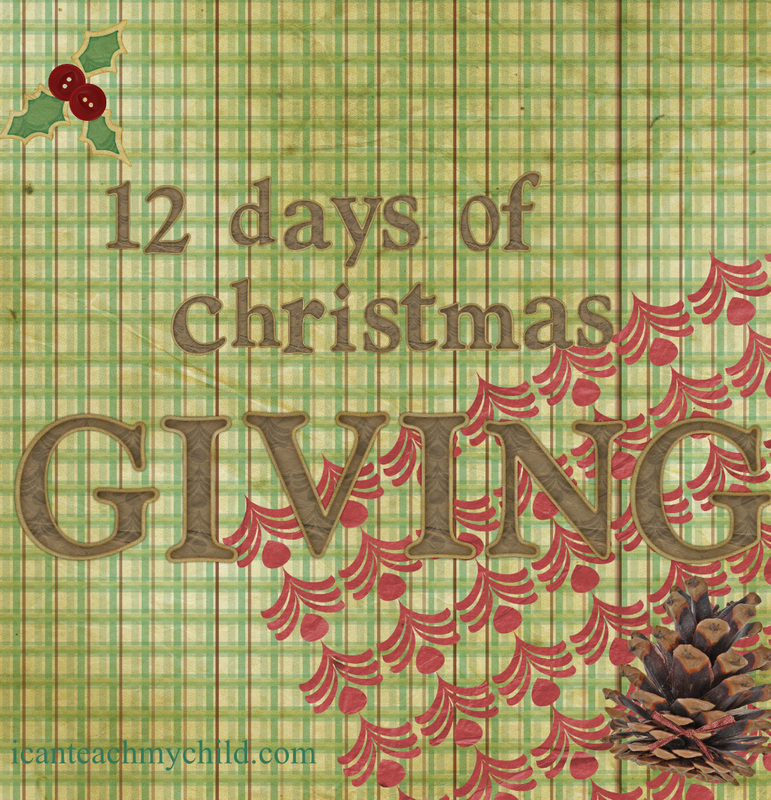 12 Days of Christmas Giving - I Can Teach My Child! We’ve been on a quest this year to instill family traditions that reflect the true meaning of Christmas…a celebration of the birth of our Savior and a reminder of our calling to be a light in this world because of Christ’s gift. So this year we’re starting a tradition that I hope will continue for many, many years…12 Days of Christmas Giving! Each day (starting December 13), we will strive to do one small act of kindness for someone else (as a family). The majority of this “giving” won’t be monetary, rather it will be giving of our time, our energy, and ourselves (which is often much harder for me than monetary giving). One of our greatest callings in this life is to be a servant to others just as Christ was during his short time on earth. Yet, I find that serving others is so very difficult for me. Perhaps it’s because I can be extremely selfish and possessive of our “family time” or perhaps it’s because I am just tired and don’t want to muster the energy to serve someone else. So…this little tradition is more for me than for anyone else in our family. I need to be encouraged to serve every time of the year, but I figure this is a good time to start. What ideas do you have???? Join me each day on our Facebook page (starting Monday) as we share ways we have given to others! And if you have a blog, I would love it if you would link-up to get the mesage out! When we were young, my mom had a 12 Days of Christmas tradition. 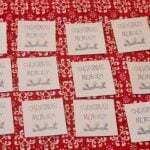 There were six of us – so starting on Christmas Day we drew names and became "secret angels". We would do something nice for the person whose name we drew every day until Epiphany. We would make their bed or leave a candy cane by their plate or something simple. We were children. Then, on the night of Epiphany we gave out a little gift and revealed the "secret angel". It is a great memory and lots of fun. I like an idea I heard from someone else, to have the children go through their toys and pick out some things in good shape that they don't play with much anymore. You can donate the toys to a womens and childrens shelter, or a church nursery. I love this idea. I just did a post based on this post!! Linked back to you. Thanks! 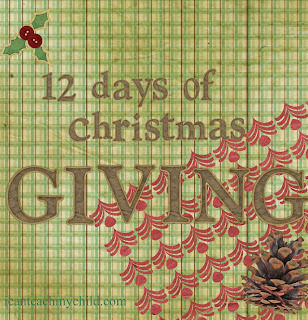 We have started the 12 days of giving this year and it is so much fun for my little one! volunteer, mitten tree, donations, meals in a bag, singing carols, random acts of kindness, adopt a family!